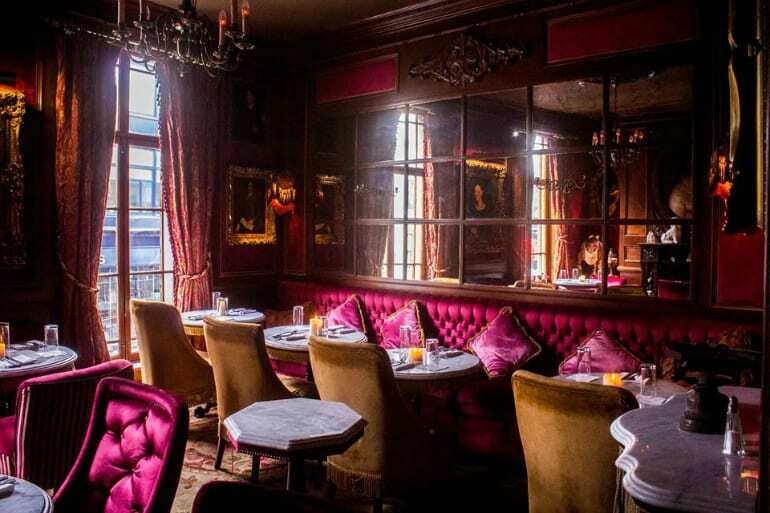 Peruke & Periwig have created some truly unique and memorable cocktails for their menu. The drinks are each inspired by music of all genres and tastes. They have reimagined established and classic cocktails as the basis for their award-winning menu and use only the freshest ingredients and quality spirits to create unconventional yet delicious cocktails. They do it in a way they can both express their creativity and serve delightfully delectable drinks and the result is a truly unique cocktail experience in a stunning plush, victorian setting. Zozimus in Anne’s Lane was designed by an internationally acclaimed design house, the space recreates an elegant ambiance with indoor and outdoor areas displayed through the use of hand crafted wooden structures, juxtaposed with elaborate glass structures, free hanging lights and contemporary wooden furnishings. The result is exquisite. Not just a pretty place, Zozimus also serve truly delicius drinks. Their cocktail menu is in the format of a flavour map, allowing you to navigate their cocktail list and choose the tipple that best suits your mood. 37 Dawson Street quickly became one of the busiest spots in DublinTown when it opened in 2012, and not much has changed since then. They don’t have a cocktail menu, but rather their talented Bar Team create bespoke cocktails based on your tastes and recommendations. The result is always a pleasure, you can discover your new favourite cocktail or try something you’ve never tried before with thanks to their innovative bartenders. The decor is like something out of a dream, with neon signs, statue heads and mismatched tables and chairs decorating the two floored bar. 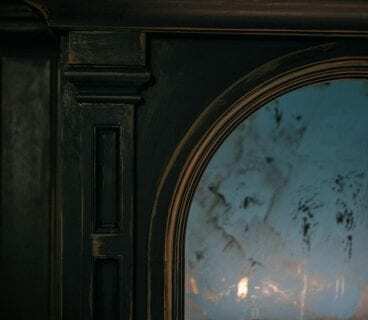 You can visit the bar tens of times, and still discover something within you’d never seen before. The staff are always knowledgeable and patient, and the food is just as tasty. The Sidecar in The Westbury is a stylish, elegant and modern take on a 30’s cocktail bar. It’s a small enough space on the first floor of the spectacular Westbury Hotel in Dublin city centre. Serving delicious bar bites alongside their delectable cocktails, it’s a place made perfect for celebrating any sort of occasion. 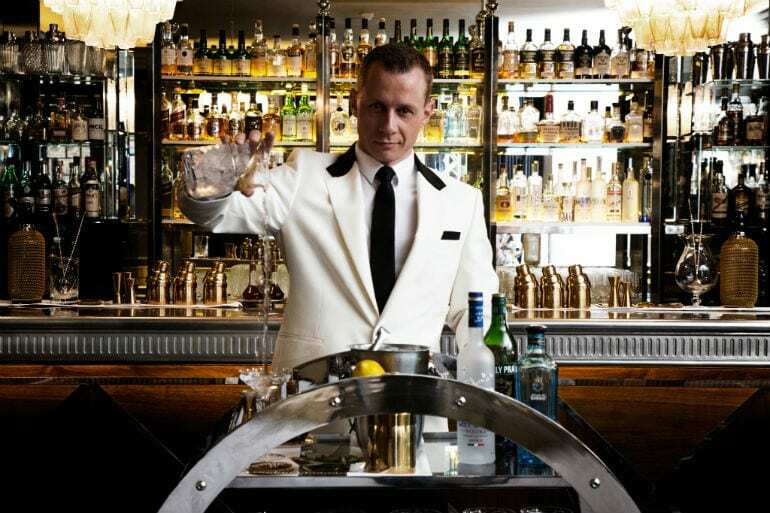 Their Martini Cart has become a sort of star of the bar, as your martini is made table side to your liking. A must for any Martini drinker. 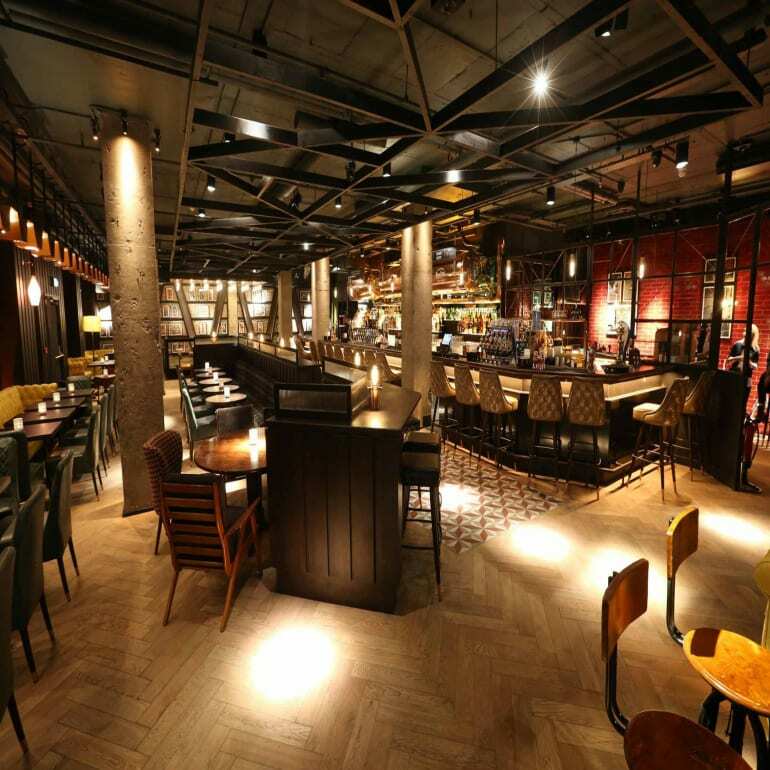 Harry’s on the Green was inspired by below street level New York style bars. The elaborate bars and discreet lounge areas make for a classic and convivial ambience. 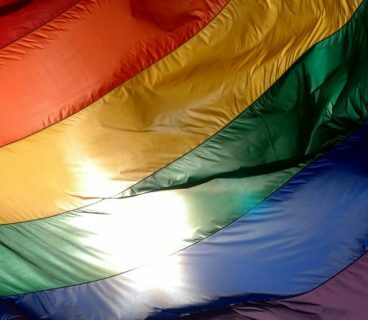 By late afternoon/evening the mood of Harry’s on the Green shifts to more of a party atmosphere offering inspired sharing platters as well as a full menu along with artful cocktails concocted by their experienced bartenders. 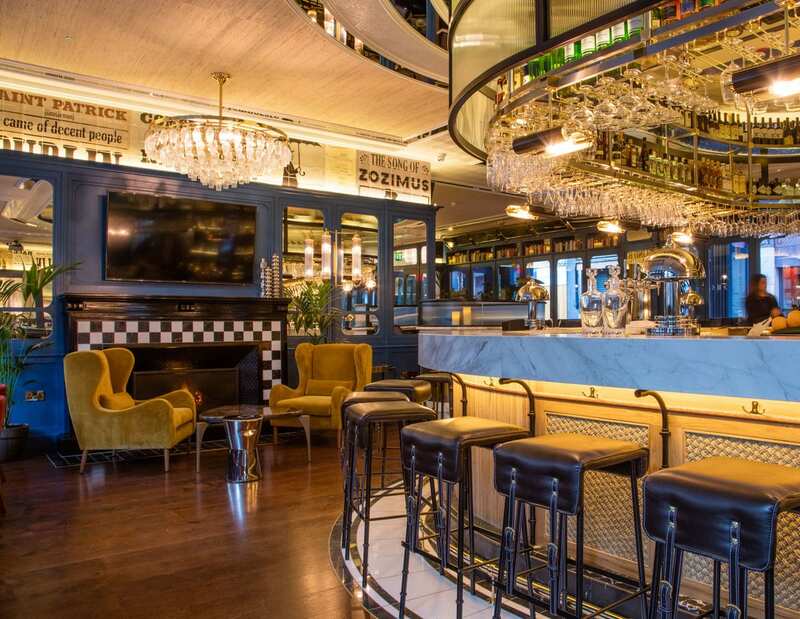 Oozing elegance, 9 Below, is a contemporary bar located just across from the spectacular St. Stephen’s Green Park, and housed in the basement of the famous Stephens Green Hibernian Club. This beautifully designed underground space is like stepping back in time into the glamorous Gatsby era, brought to life with a modern twist. Drop in and let the amazing team take care of you, you’re in very capable hands. Sams Bar is long established as one of Dublin’s busiest bars, situated on Dawson Street, it is a stunning bar in the centre of Dublin that offers elegant surroundings with a friendly atmosphere and welcoming staff. 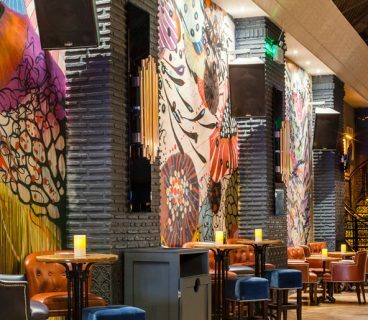 Funky murals and vintage accents adorn this chic, spacious bar for cocktails and sharing platters. 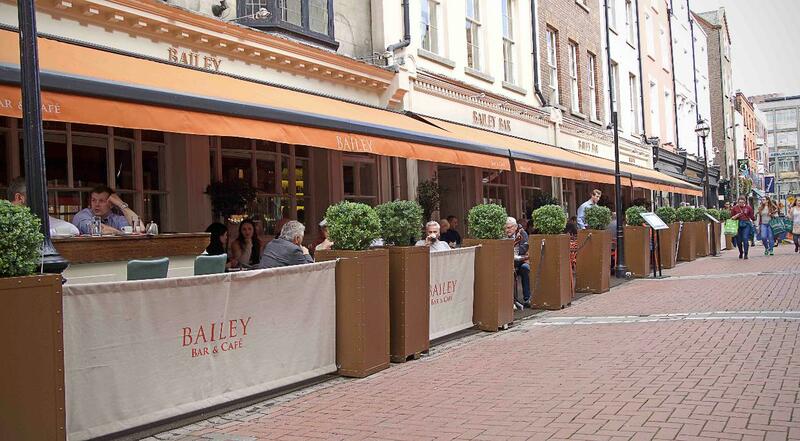 The Bailey Bar and Café is located on the trendy Duke Street in the bustling area of the Grafton Quarter. Head inside for a drink and a bite to eat in the warm modern surroundings, or dine al fresco and people-watch out on the patio. Choose from a delicious and vast selection of wines and cocktails. Great food, tank beer, a unique draft range and incredible cocktails – wrapped up in stunning yet welcoming space. That’s Lemon & Duke. A city bar that works at any time of day. Light and bright for morning coffee and lunch, evolving seamlessly into a sophisticated late night venue, perfect for dinner or just drinks. With a large collection of draught and bottled beers and a bespoke cocktail list, the drinks offering is comprehensive and carefully thought out. 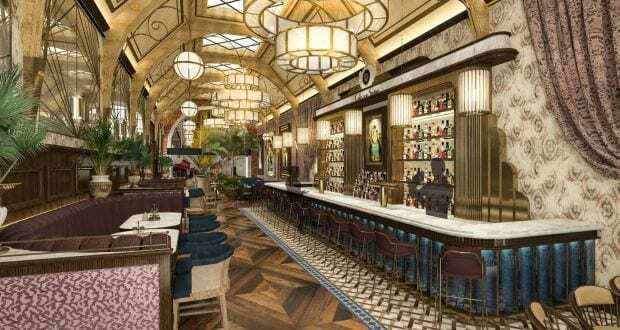 After an extensive refurbishment of one of Dublin’s most iconic and stunning venues, Café En Seine reopened its doors on Dawson Street in November 2018. 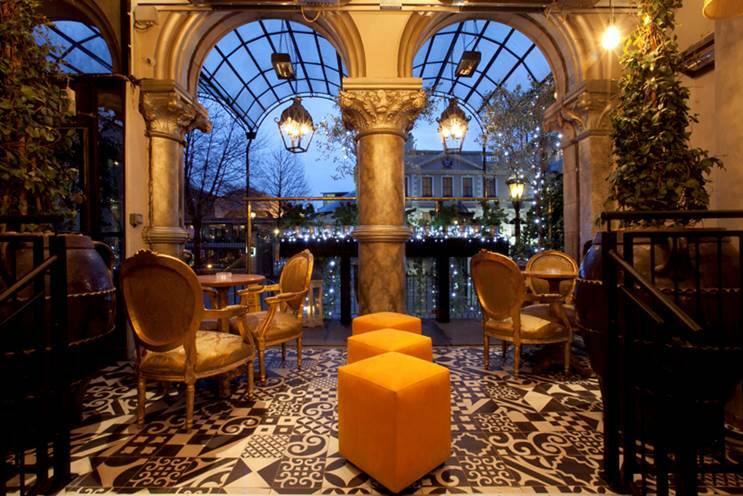 With over three floors, an indoor street garden, art nouveau décor, a designated restaurant and several bars, Café En Seine is one of Dublin’s most stunning and exciting venues. Renowned for its five-star service, Café en Seine offers an extensive food menu which caters for a range of tastes and occasions. 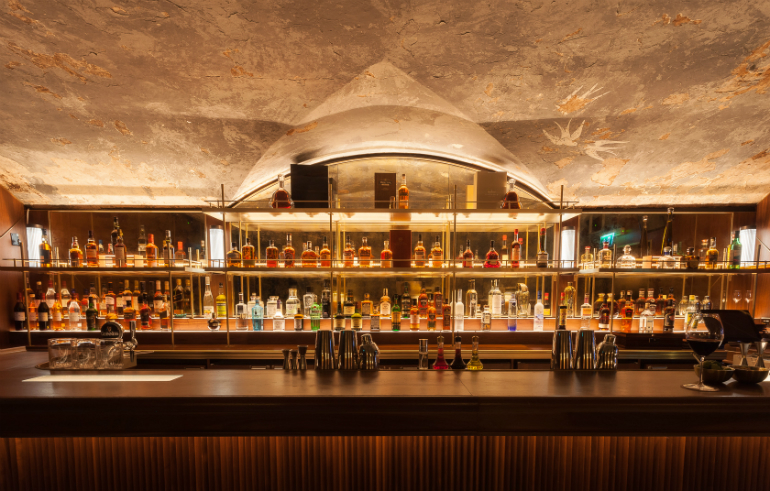 The cocktail menu has been specially curated by Peter O’Connor and the team behind Crucible (London) to enhance specific moments and experiences within the venue, from the physical surroundings to the music and the service, making each drink memorable. 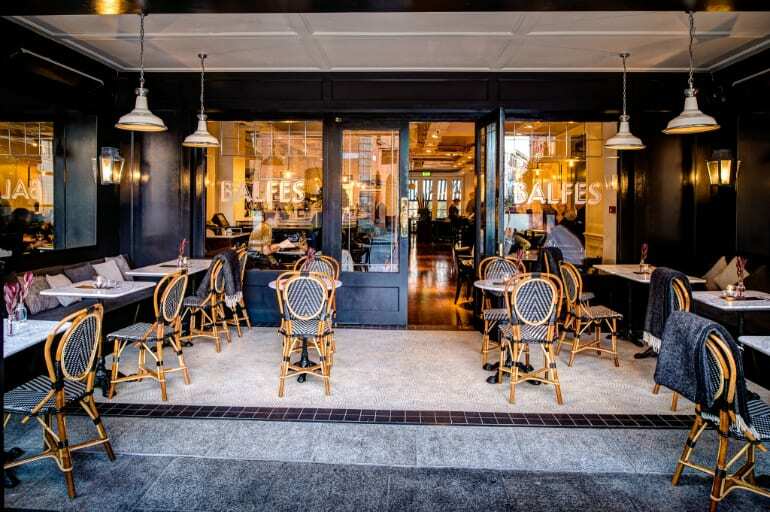 With Parisian and New York influences, Balfes is an all-day dining brasserie and uptown bar in the heart of the Grafton Quarter. Located on Balfe Street, where Grafton Street and the Creative Quarter meet, Balfes features a 20 seater outdoor terrace, a zinc-covered bar and open kitchen and is open from 8am until late Monday to Friday and from 10am until late Saturday and Sunday. 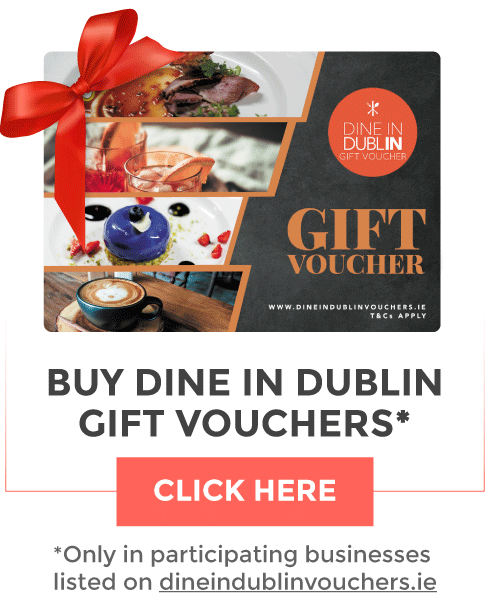 Be sure to also check out FIRE Restaurant & Lounge on Dawson Street, Sinnott’s on South King Street, and Citron in The FitzWilliam Hotel on Stephen’s Green who all serve delicious cocktails. No matter what your tipple of choice is, these wonderful cocktail bars in the Grafton Quarter are sure to take care of you and serve you some of the most delectable cocktails you’ve ever tasted, with that Dublin hospitality charm. Drink (responsibly) and enjoy! 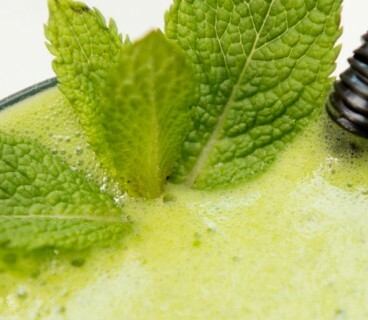 3 Delicious #DineInDublin Cocktails to try this weekend!